On Bike Word, we always make a point of constantly offering the best bike brands and models of all categories. In this article, we bring you to know the brand of fixie 6KU bikes review. 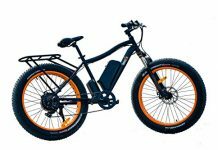 This brand is in great demand and offers interesting models with many advantages for urban use. 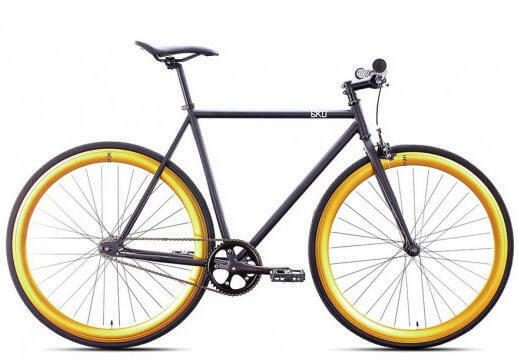 You will find the different fixie 6KU bikes, as well as the best quality price, offers available for this American brand. If you are looking for information on fixie bikes or want to purchase a fixie 6KU, this article is for you. Today we are witnessing the most innovative bike race. But still, classicism never loses its charm, like that of a simple bike, robust and affordable. Here is the fixed gear bike, often called fixie. The fixies are designed to move by rotating the rear wheel through the pedal. The concept is quite simple: if you turn the pedal forward, you move forward, if you turn it in the opposite direction, you go back. This brand has changed the world of fixies and is distinguished above all by the very reasonable price of its bikes. Its sales are booming, and it continues to develop more and more models that perfectly meet the expectations of its customers. 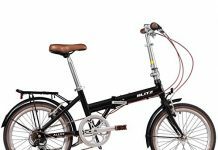 The Dallas 6KU, 6KU Nebula, 6KU Delano, or 6KU Detroit are all popular models for classic cyclists. This American company offers bikes that last longer than those of its competitors at an affordable price. Their philosophy is that everyone should own a bike to save their money, and not the opposite. These very robust bikes require little maintenance, even if it is sometimes necessary to change the chain or the pedal after several years of use. 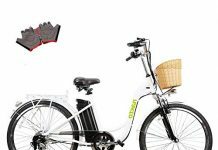 In order to reduce costs, 6KU bikes manufacture and sells its bicycles and spare parts. 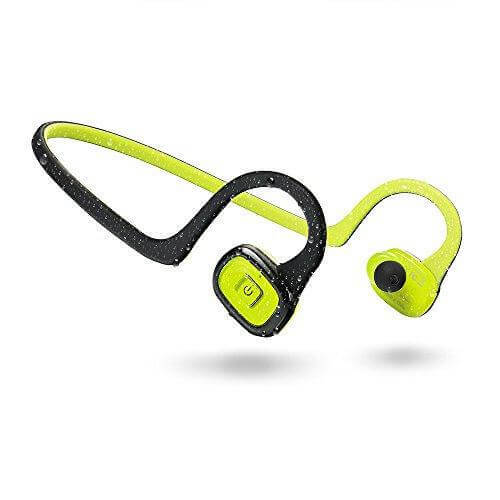 That’s why they are able to provide a variety of models at an unbeatable price. 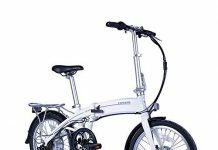 Each 6KU bike is trendy and is characterized by bright and attractive colors. 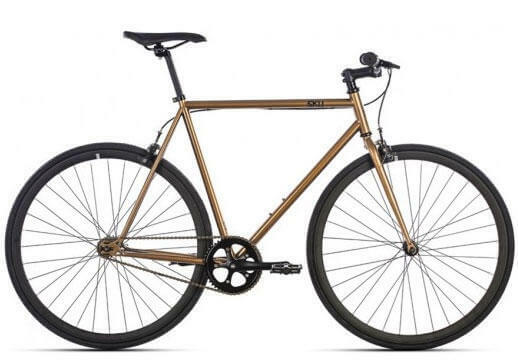 What are the fixie models and sizes of 6KU? Before indicating the specifics of each model, be aware that all these bikes have a flip-flop pinion on the rear wheel, which allows you to change the way you use it and change from a single speed freewheel ( single speed) has a real fixie. The most popular models are Dallas, Nebula, Track and Detroit. But which one to choose? The size of the 6KU frame is the measurement between the BB shaft and the end of the seat tube. 42 cm From 1.45 m. at 1.54 m.
49 cm From 1.55 m. at 1.64 m.
52 cm From 1.65 m. at 1.73 m.
55 cm From 1.74 m. at 1.80 m.
58 cm From 1.81 m. at 1.94 m.
The choice must be made according to the size of the crotch, the size of the cyclist, it remains indicative. Attention, all the same, all the sizes are given remain indicative, it is better to make an attempt to know its frame size. Do you know that this bike made the top sales in the United States this year? This range of 6KU single speed fixed speed bike is affordable, reliable and comfortable. You can choose from 12 color combinations. 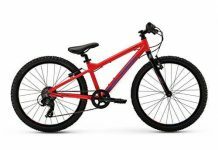 These complete bikes come with the front and rear brake. The seatpost and the riser are made of aluminum to save weight. 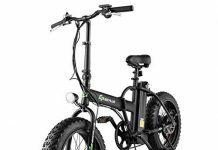 This bike can be purchased with wheels 30 mm or 45 mm deep: for frames up to 49 cm, you will have wheels of 45 mm and for frames from 52 to 58 cm, wheels of 30 mm. This model was also so successful that the firm proposed the 6KU Nebula 2, after the 6KU Nebula 1. The 6KU nebula differs from Dallas in its ultra-strong black matte steel frame, which is fully welded to the stem and comes with a matching steel fork. 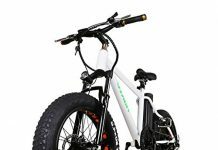 The bike features elegant alloy wheels 40 mm deep, comfortable vertical bars, a rocking rear hub and a sealed bearing bracket. cranks Allowy 44T * 170 mm. Handlebar Double height of 22.2 cm. 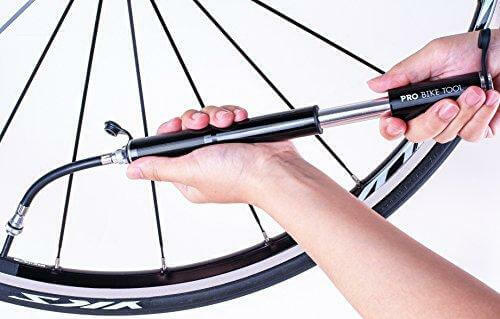 Crank Neco Sealed cartridge 68 x 103 mm. Whether you are fixies professional or a beginner rider looking for a simple and secure bike, the 6KU Nebula is your best ally. 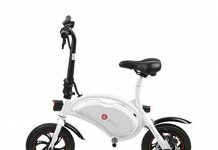 It is designed for the urban environment, delivered with 700 × 25 cm wheels for fast, efficient and comfortable driving, as well as rocking hubs. 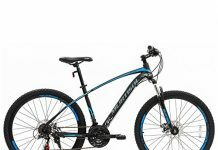 It has both a front and rear brake to give you the stopping power you need while remaining safe. It also has a riser bar for maneuverability. The technical feature are similar to those of the previous model. What sets this model apart from others is that all frames are chrome-colored. The 6KU Fixie Single Speed Detroit is not just any cheap fixie bike. It is built with high tensile strength steel and quality element. 6KU has actively made an effort to produce in the United States, more specifically in California. This bike is manufactured with exceptional quality control and records the lowest manufacturing defect rate of any bike on the market. Certainly, no consumer likes to be limited in his choice, but sometimes, infinite choice options, especially with regard to special features, can be overwhelming for busy or novice consumers. This is why the brand has almost unified the general features of all its models and chose to play on the variety of design and colors. Some items are often customizable for purchase like the handlebars. 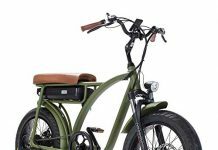 The bike is delivered 90% assembled, and the rest will be easy by following the assembly guide that comes with the bike. Compared to its competitors, the 6KU fixie bike has a relatively lightweight. 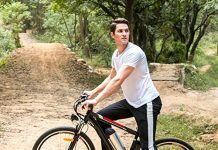 The bike is perfectly silent and allows you to pedal with complete peace of mind which makes it best single speed bikes brand. In addition to all its qualities, it is impossible not to recommend to a customer looking for a solid but affordable day trip. 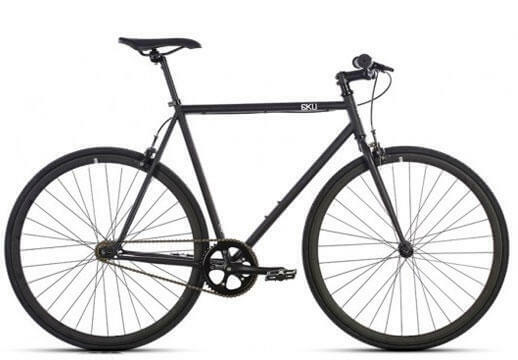 The fixie 6KU is a cheap and affordable proposition for this type of single speed bikes you can get a 6ku bike under $300. Do not let its low price make you doubt its quality. 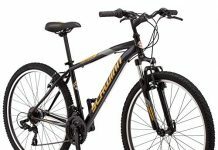 Indeed this price is reduced because the brand manufactures internally all parts of its bikes. 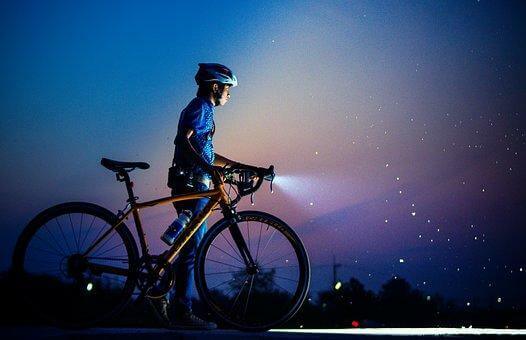 It’s also a brand positioning choice is that bikes are made to save money. 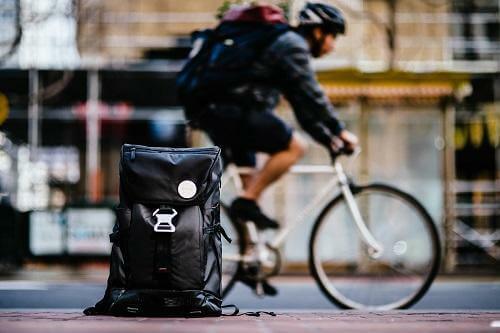 The 6KU fixies are durable, stylish, and offer the best value for money on the market, What really sets them apart from other fixies is the quality of their pieces they are also approved by BLB. It is a reliable bike that can accompany you in any type of road. On the other hand, the customer service offered by the company is remarkable. A guarantee that goes to the end of its promises!